Hivos is an international organisation that seeks new solutions to persistent global issues. With smart projects in the right places, we oppose discrimination, inequality, abuse of power and the unsustainable use of our planet’s resources. How to raise public awareness in the Netherlands about the predicament of Asian maids employed in the Middle East? Approximately 500.000 Indonesian women are recruited by dubious ‘Maid Agencies’ and working as a maid in the Gulf States. They are living in isolement and are vulnerable for abuse, exploitation and violence. Recent studies state that from all suicides in Saudi Arabia 55% are maids. The Dutch public isn’t aware of the miserable conditions the Indonesian maids are working in, since the topic isn’t relevant for Dutch journalist. It is taking place too far away. 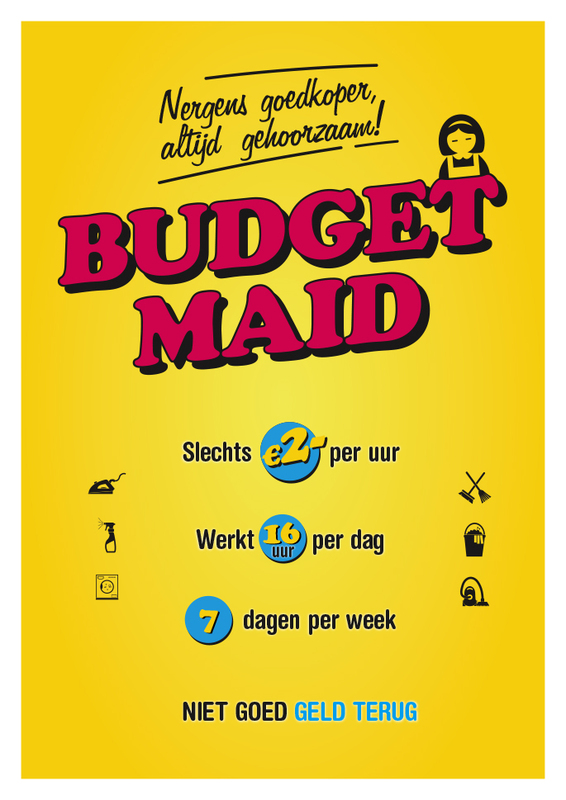 To make the subject relevant and understandable we opened a ‘Budget Maid’ pop-up store in the centre of Amsterdam. To raise public awareness about this issue, we invited journalist to the store and we also made a candid camera video of passersby that interacted with the store and shared it online. In the video, we communicate this problem using the same structure as we did with the real store. We made the Asian budget maid’s predicament understandable in a Dutch context, showed how absurd it is, and explained Hivos’ efforts to help them. The coverage by journalist about the store and the video reached over 10M people.